Negotiations between both parties and the White House have been heated. The CR is an attempt to fund government operations, short-term. This is an attempt to “kick the can down the road”, another four weeks, with a promise to pass an actual budget. If Congress fails to pass the CR, funding for non-essential workers would be terminated and only essential services would remain. The political theater, primarily by the democrat caucus, has been nothing short of stunning. The house-passed bill was an accumulation of compromises by both sides. The primary issue revolves around border security and illegal aliens. 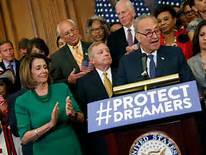 Democrats have been very clear they will not support a bill that does not include an extension on DACA, Consideration of Deferred Action for Childhood Arrivals. 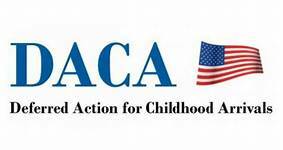 DACA, an Obama-era executive order, provides protections for minors brought to the US illegally by their parents. This protection is a temporary reprieve from deportation. Out of the 800,000 immigrants that receive protection from this program, many have been in the US for several decades. 28.3% of these illegals live in California, and 78.5% are natives of Mexico. DACA was created in an effort to bypass Congress as a permanent solution could not be reached and a bill presented to be signed into law. What does DACA have to do with federal workers or military retirees’ pay? The short answer is that these issues are unrelated to one another. 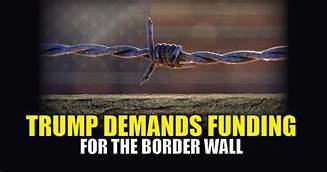 The funding bill is of high interest to Republicans, and protecting criminals and ignoring efforts to fund “the wall” and other forms of border security are of high interest to Democrats. The sticking point is between building a secure wall for the border and protecting 800,000 criminals. President Trump tweeted a reminder to Congress on September 5, 2017 that only six months remained for Congress to address the issue of illegal aliens. 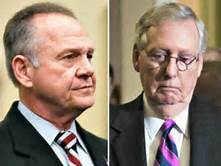 Senate Democratic Leader Charles Schumer (NY) told the press pool following his meeting with the President that “a good number of disagreements remain” and dashed any hopes that a compromise was reached. The Democrats have been very clear in their primary goal; legal status for 800,000 illegal aliens brought to this country involuntarily. This narrative paints the picture as one of poor children who had no choice in the matter. DACA requires the alien to have entered the country before reaching the age of 16 and could be no more than 31 years of age.